In the last 10 years, my cholesterol has been on the high side, but my triglycerides were normal so I never really worried about it. I read a lot of articles on the cholesterol count, and it seems that research has made the assumption that Statins were not the answer. As long as your triglycerides were okay then the chances are you were going to be okay from your arteries clogging up. Because I exercise 5-6 days a week and believe I eat rather healthy, have the odd 2 or three glasses of wine of red wine per day and the odd cigar or two, and ride a motorbike the chances are I would live to a ripe old age. 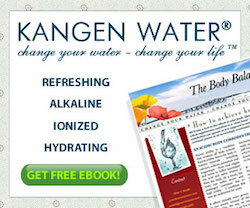 Anyhow to cut a long story short for the last 6 months I have been drinking <a href=”http://www.lifechanging-water.com”>Kangen water</a>. I have religiously drunk at least 8 large (16 ounce/500 ml) glasses of the water per day. Basically, it is the only lifestyle habit I changed. Yesterday I had to go to the doctor to get the results of my blood test that I got a week before. To my surprise and my doctor’s too, my cholesterol levels had come right down. My triglycerides were.09, normal is 2 (Australian numbers not the USA). My kidney function had shown deterioration for the last 4 years and the result yesterday was a normal reading. I was elated as I expected him to give me the normal, not so good result and tell me I had to go on a statin and go see a specialist about my kidneys. 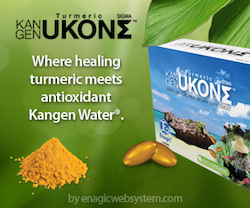 So you can take my word for it, I am living proof that this <a href=”http://www.lifechanging-water.com”>Kangen Water</a> stuff is gold. Now I must say: This is my personal experience. I cannot guarantee that you will experience the same result. I am not the only one that has had a good result from this water. A friend of ours who suffers from acid reflux swears by it. Another who has a bladder problem also is a great believer. Look, I guess it looks like I am just plugging the machine and I am, because I believe it is worth every penny or cent (depending on what country you live in) to anyone with bad health or those who are athletic because of its hydration qualities or someone who wants to improve their well-being because of its ionizing, alkaline qualities, which in turn will help with their energy levels. If you are someone who has some health issues or any other personal reason and you think this machine might be what you need then when you take the time to watch this video. 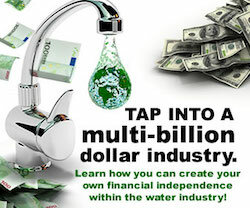 It has two parts: a 10-minute demonstration of what the Kangen Water product does, and there is also an 8-minute explanation of a great compensation plan if you are interested in making an income from it. It is possible to make several thousand per week in a short space in time. This POWERFUL, yet SIMPLE compensation plan is unmatched in the home-based business arena. You can earn thousands of dollars by simply helping others get healthy. Anyway, that is my story about my success with this machine in making my body as healthy and happy as can be. It could be good for you as well.